Here’s good news to all Clash of Clans players, Globe Telecom is hosting a first COC tournament in country. This is a two day competition that will be held on major cities in the Philippines starting July 25, 2015. If you’re interested to join this game event, you may take a look on the details below. 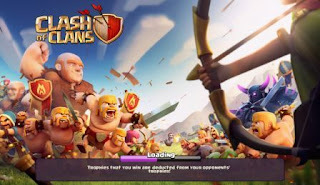 How to join or register to Clash of Clans tournament? You may visit Globe Prepaid booth located on the venue listed below with its respective date of the tournament. Globe Telecom is giving away over 2 million pesos of cash prizes plus gadgets and gems to all tournament finalists and winners. Hurry up guys, gather your members and visit to the nearest area mentioned above. Enjoy and clash on!